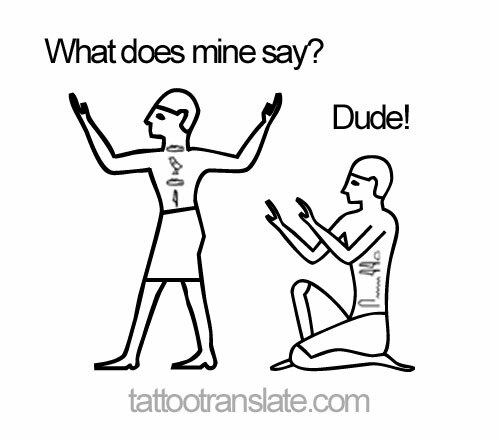 Please use our hieroglyph translation tool below to translate your tattoo text to phonetic egyptian hieroglyphics! For more information about hieroglyph translation please visit HieroglyphTranslation.com! Enjoy our tattoo translator tool!